I'm getting very excited about this project. Here's what i'm keeping from the US figure. I painted the back belts of the megaforce rangers, and the shield and belt of the 2010 white ranger. 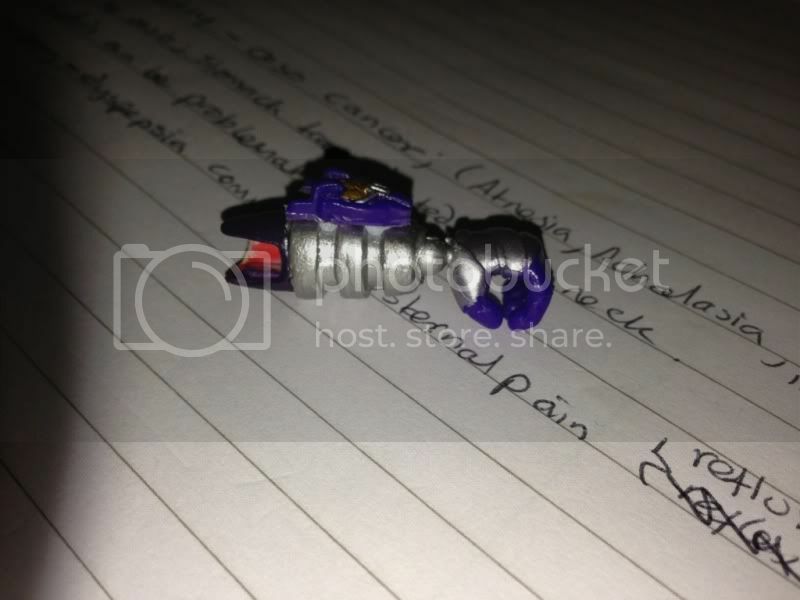 Also the zords on the megaforce blasters. I explained my comment to him on FB that I meant use the Tyrannoranger head as a base. He said it didn't go well. The sentai masks are WAY too big for a 7 or so inch figure since they are around 1/6 scale which would mean they would be better suited for a 12" figure. And the sentai mask are too big. I was afraid of that. I know, he looks good with them. Out of curiosity, anyone tried to make the Birth Buster shoot out the medals? Speaking of the 4 inch White Ranger, he's in desperate need of a head that's properly scaled for his body. Any ideas? 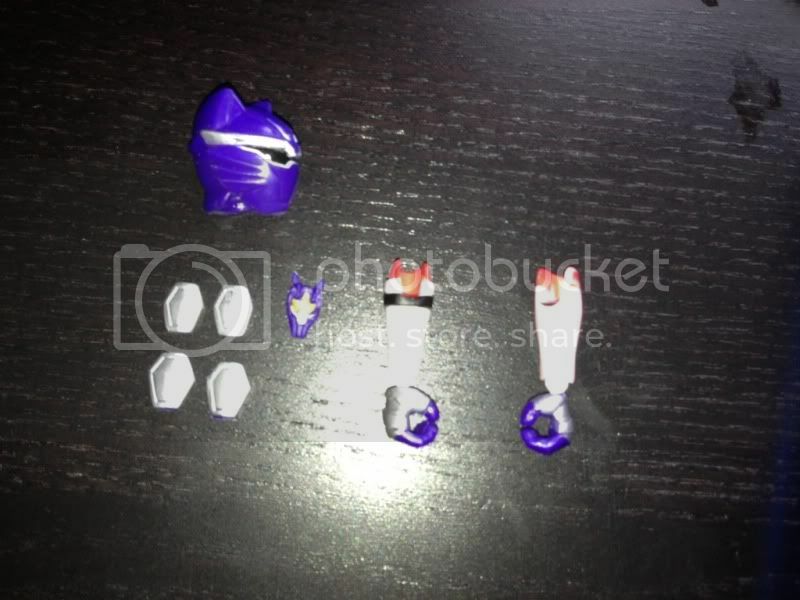 The other male MMPR's had better sized heads on those stupid dragon morphing figures which could be swapped out, but White only ever got that one figure. The odd thing is the prototype actually had a normal sized head. ever try the head on the automorphin figure? Also working on some others at the same time, but they aren't at a point where I feel like photographing them. Not thrilled with it, mainly because, and I'll be the first to tell you this, but I'm not the greatest at handbrushing. I shake a little and need to buy new brushes but for what it is, it turned out ok.
You're crazy dude, that looks amazing! King, I'm as ever awed by your work. Does your occupation involve some sort of manual dexterity? If so, it's quite evident. Actually I'm a graphic designer/flash developer that makes interactive training for the military but I've been building models and doing hobby stuff since about 1995 and props since 1997. However, I do appreciate the compliment. Gekiviolet is looking good. I have heads for my Gekiranger team (so far Geki Red, Blue, Violet, and Super Geki Red) but I haven't started them. I think I'm going to mod the waist similar to how the Ultra-Act figures are done. I repainted my Legacy Morpher and getting Zyuranger labels for it. 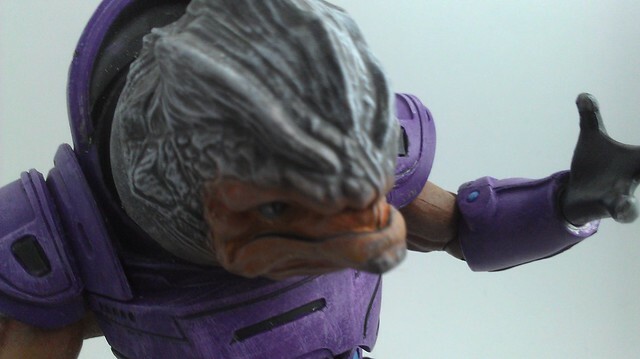 He started off as a ME3 Grunt. I wanted to add some articulation so he wouldn't be just a statue. So I let him sit in boiling water for a few minutes and removed all his armor. 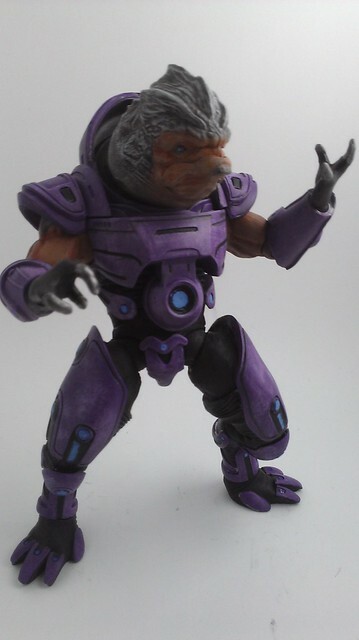 Then I combined his lower legs with an X3 Juggernauts upper thighs and lower torso. I also cut away at his shoulders so he can bring his arms closer to his sides and actually hold his weapon with two hands. 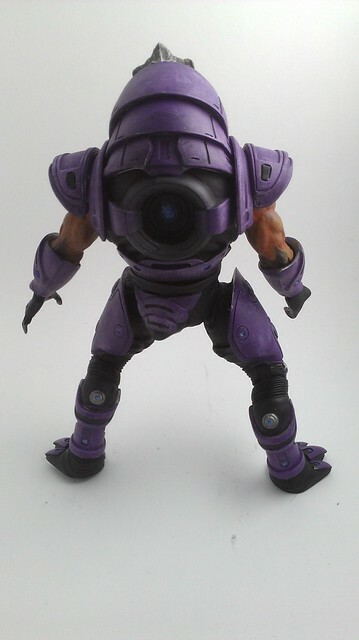 His head was removed and a Bionicle joint was used so his head could move in more than just a circle. Then it was just a matter of giving him a multilayer-ed paint job to bring out the finer details. 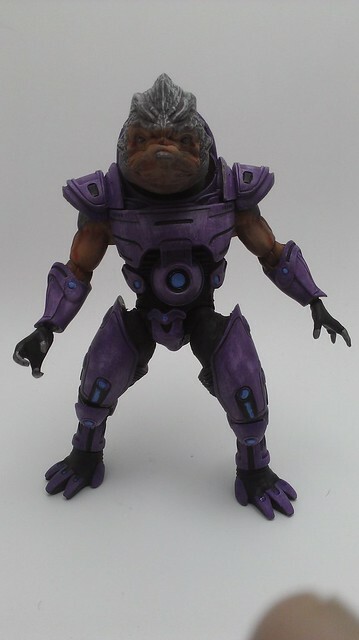 LMAO... Kanye Wrex... thats awesome. Turned out awesome as well. Fantastic paint job! You should do all the available ME figures. king one day please make a collection thread showing off all your custom figuarts. your work is just amazing. Not too sure what Dragonranger's post has to do with it.... but I second that idea as well. thats what i get for being half asleep when i wrote that lol. i honestly do not know how i quoted the wrong post. One day, when I have more completed, I certainly will.